Everyone has that one friend who wants a tablet-sized smartphone. 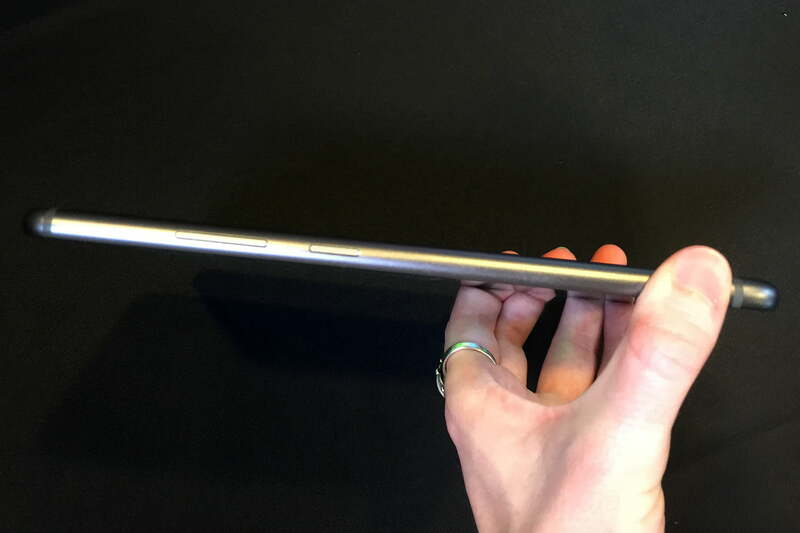 You may shake your head in bewilderment when you hear a die-hard phablet lover say that 5.7 inches is just too small for a phone, but some companies perk right up in agreement when they hear that. 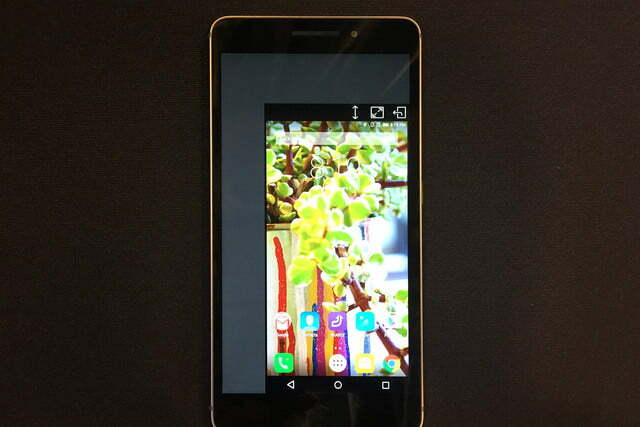 A 7-inch phone, they say? Well, sure, we can make you one of those! Lenovo first showed me the Phab Plus in Barcelona in March when it was still a random idea in development. 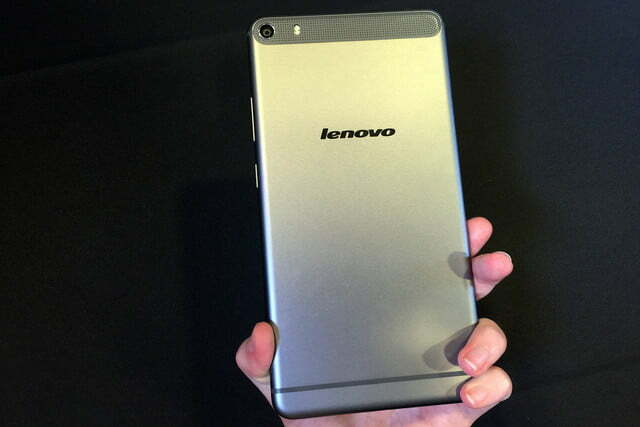 Fast forward to September, and Lenovo is sending its massive, 6.8-inch phablet out into the wild. Call it crazy, call it absurd, call it whatever you like — the Phab Plus is the most phabulous phablet on steroids we’ve ever seen. Despite the fact that it’s only coming to China, it’s intriguing. So long as you don’t hold the Phab Plus up to your face, it feels almost normal. Lenovo slimmed it down, so that it’s relatively easy to hold (for a 6.8-inch phone). 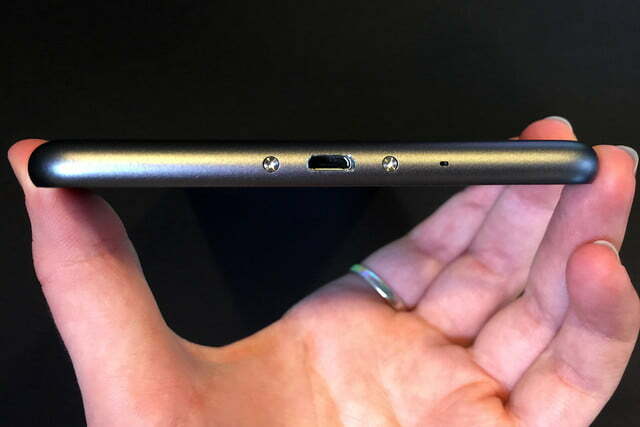 Instead of making it wide, Lenovo made the Phab Plus tall. And its bezels are slim, so there’s no wasted space. 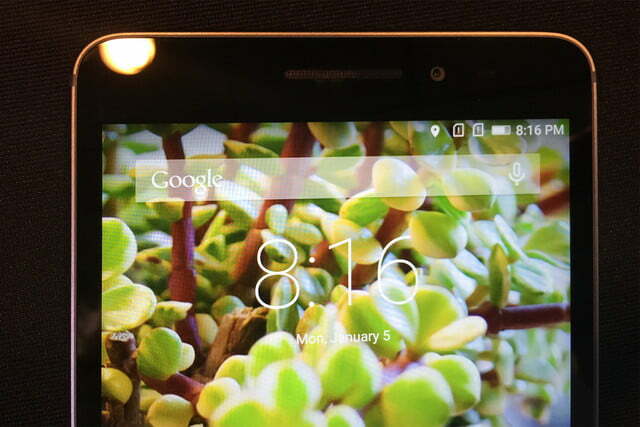 Other 7-inch phablet like the Asus FonePad 7 have insanely chunky bezels and look more like tablets. 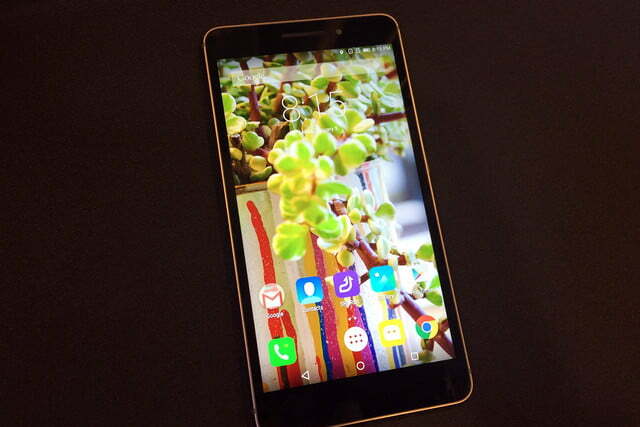 Lenovo’s Phab Plus is gorgeous, and as crazy as it sounds, it looks like a phone. A ginormous insane phone, to be sure, but a phone nonetheless. 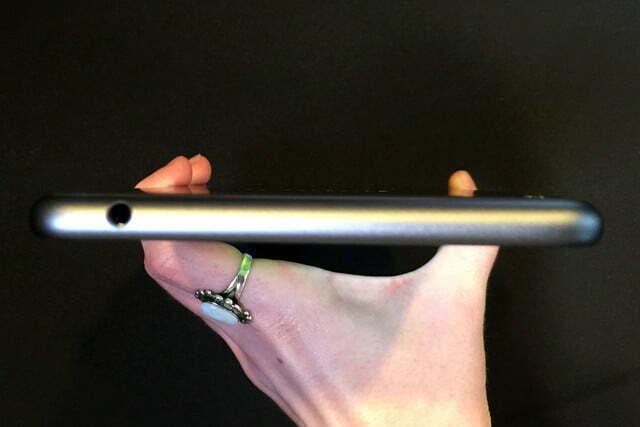 It has an aluminum back, which gives the Phab Plus the look and feel of a really big iPhone or a really slim iPad Mini. 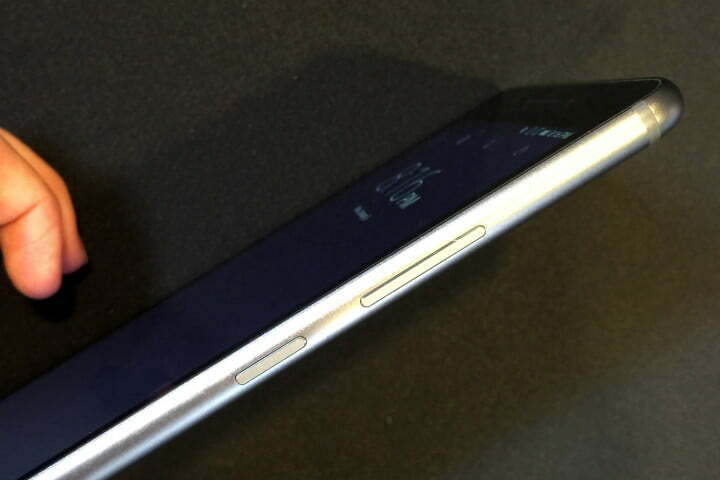 It even has the same rounded corners and clean lines. The only big differences beyond the size are the Dolby Atmos speakers on the back and the Lenovo logo. You can get it in either gunmetal or platinum finishes. 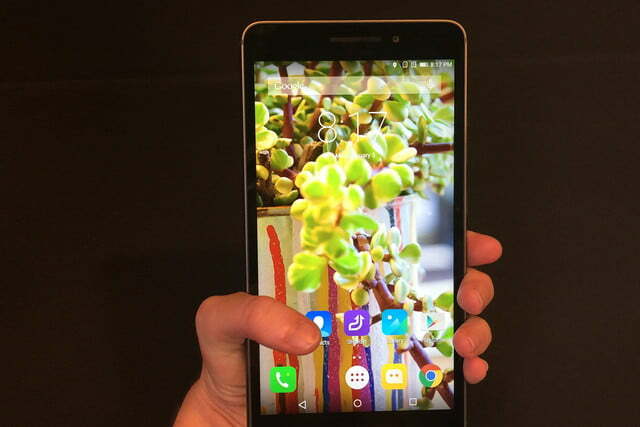 The Phab Plus is the most phabulous phablet on steroids we’ve ever seen. Obviously, using this mega phone one-handed isn’t the easiest task, but in case you want to or have to, Lenovo made a one-handed mode that actually works quite well. If you draw a C on the display, the 6.8-inch screen will slide down to one corner of the screen in a smaller size. You can then navigate at will, and even make it bigger or smaller, depending on what your needs are. To go back to full-screen mode, you just tap the escape button in the corner of your mini window. Most of the time, you’ll want to wield the phablet with two hands, though. It’s impossible to say that the Phab Plus is the most comfortable or practical phone we’ve ever held, but that’s not the point. If you wanted a phone that you can hold easily, you wouldn’t be reading about a 6.8-inch phablet. 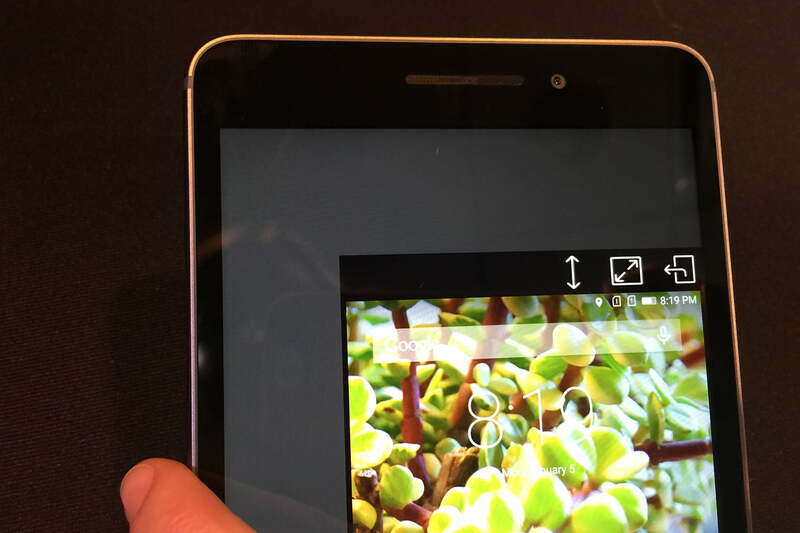 Considering how large the Phab Plus is, it’s the most manageable 6.8-to-7-inch phablet we’ve ever held. Speaking of the 6.8-inch screen, it’s got a Full HD 1,920 × 1,080 pixel resolution, and it looks quite bright and crisp. Although the larger screen would have looked incredible with a higher resolution, 1080p will suffice. The large display is ideal for people who like to stream video on their phones, read ebooks or articles, draw, and play games. If you’ve ever complained that Samsung’s Galaxy Note series has a screen that’s too small, you’ll be tickled to death by all that screen real estate. The rest of the specs are more mid-range, as Lenovo wanted to keep the cost down for the Phab Plus. 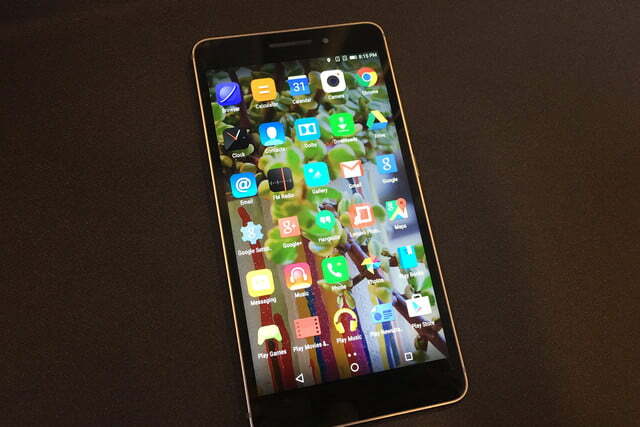 After all, it’s bound for China and will serve a very specific segment of smartphone buyers. 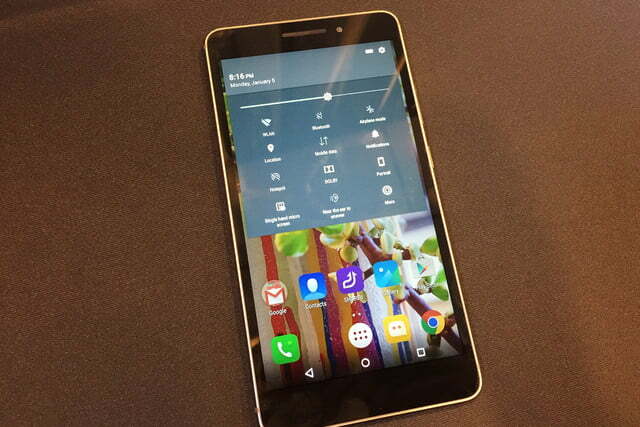 A 64-bit, octa-core, Qualcomm Snapdragon 615 processor and 2GB of RAM power the phablet. In our brief hands on, the Phab Plus seemed zippy enough, though it bears more testing. 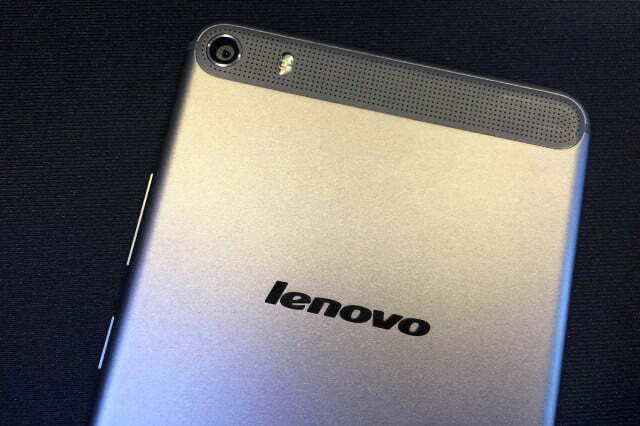 Lenovo was generous with 32GB of internal storage, which can be expanded by 64GB via the MicroSD card slot. The large display is ideal for people who like to stream video on their phones. The cameras are rather high-res for a $300 phone. We’ve got a 13-megapixel main camera with auto-focus and a 5-megapixel front-facing camera with fixed focus. 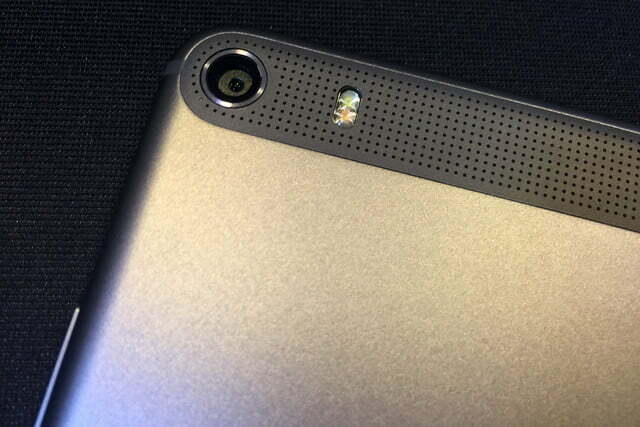 We’ll need to test the cameras out further for our full review of the Phab Plus, but images at first blush seem good. Finally, the Phab Plus has a decent-sized 3,500mAh battery, but we wish it were bigger. Although it’s reasonable enough, larger screens eat up more energy, and it would have been good to amp up the battery. Sacrifices must be made to keep this huge phone manageable, of course, and a bulky battery would have been a different sort of compromise. We’ll let you know how well the battery holds up in real-world testing soon. Lenovo’s Phab Plus is not for the faint of heart. If you buy this massive phone, you’ll have to be bold enough to take selfies with it, carry it in your bag, and hold it to your face when making phone calls. We suspect that phablet phans who’ve been waiting all their lives for a 7-inch phone have thought about all these tradeoffs quite a bit. If you’ve been lusting after massive phablets for years, Lenovo’s Phab Plus will have you booking a flight to China to pick one up today. If you’re like most people, it’ll have you busting a gut laughing. But hey, haters gonna hate. Let your phablet phlag phly. 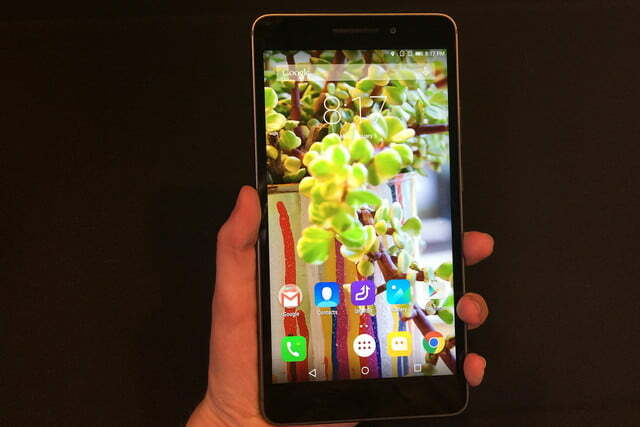 Lenovo’s Phab Plus is a whole lot of phone for $300. 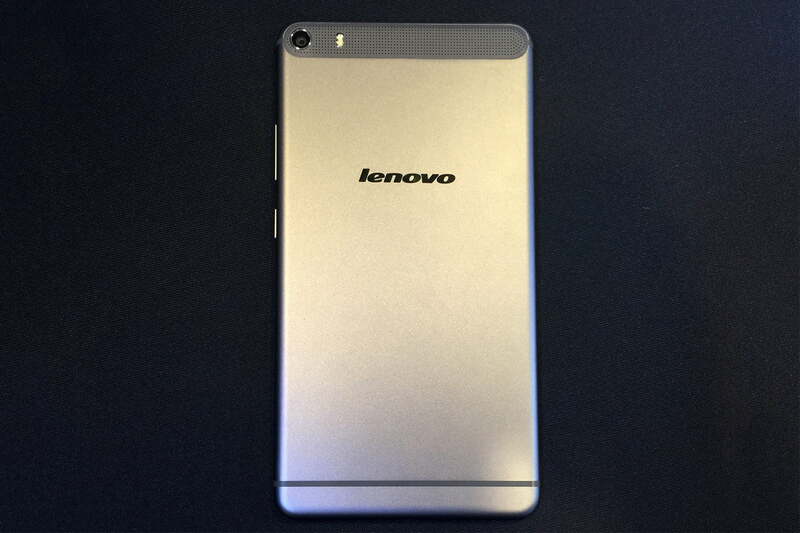 We look forward to reviewing the massive Phab Plus from Lenovo in the near future.